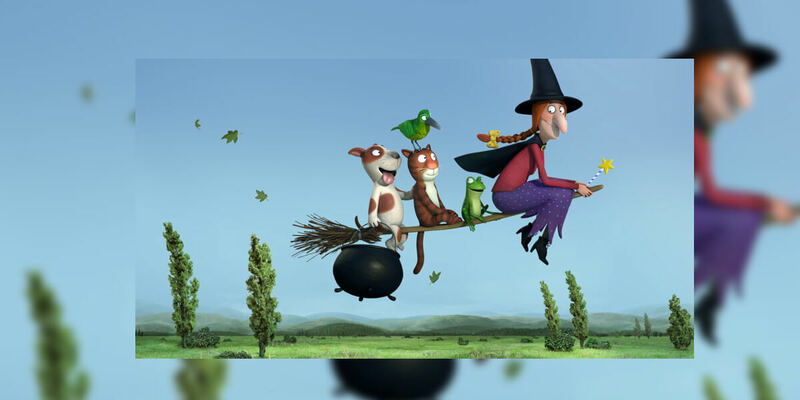 Hop on for the ride with acclaimed animated films Stick Man and Room on the Broom, based on the much-loved children’s books by Gruffalo creators, Julia Donaldson and Axel Scheffler. In this live world premiere, Terry Davies conducts the Orchestra of the National Concert Hall performing René Aubry’s inspired scores for this delightful double-bill. Stick Man tells the tale of a happy-go-lucky father’s epic journey to make it home in time for Christmas. Join Stick Man on an incredible journey through the seasons as he runs from a playful dog, gets thrown in a river, escapes from a swan’s nest and even ends up on top of a fire! Will he get back to his family in time for Christmas? In Room on the Broom, a kind witch invites assorted animals to join her on her broom, much to the frustration of her cat. The witch’s companions ultimately save her from a fearsome dragon, and in gratitude, she rewards them with a magnificent new broom, which has room for everyone.